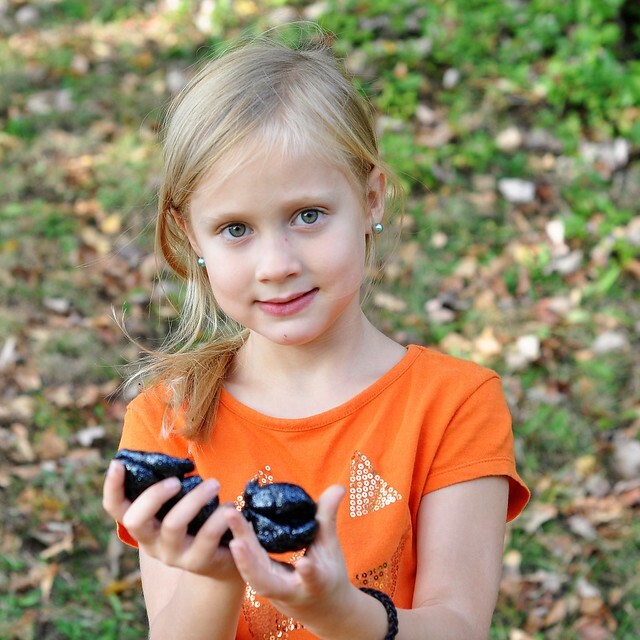 If your kids are anything like mine, they probably love to make slime, putty and play dough! My crew is always adding glue, borax, cornstarch and flour to my grocery list, and sometimes I think it would be best to just buy it in bulk. I try not to complain too much, because at least they love science and experiments! We had yet to do a Halloween craft or activity this year, so the timing was perfect for this month's theme for A Year of Color! 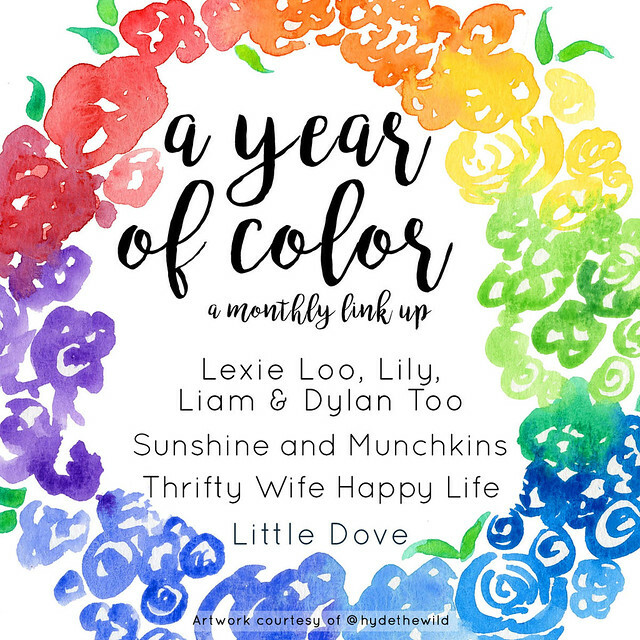 If you're new here, A Year of Color is a monthly link party. Each month features a different color and you can link up ANYTHING pertaining to that color! The link up stays open all month long, so feel free to continue to add links throughout the month. 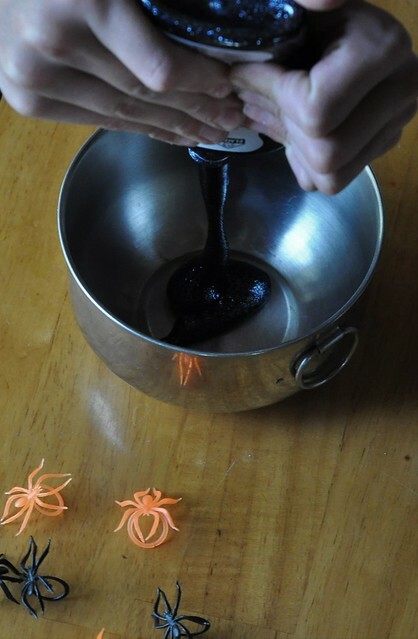 I originally planned on making Spooky Spider Slime using black glitter glue, but the glue was very thick, almost tar-like, when we opened it, so we made the decision to switch to putty. My kids didn't seem to mind one bit! 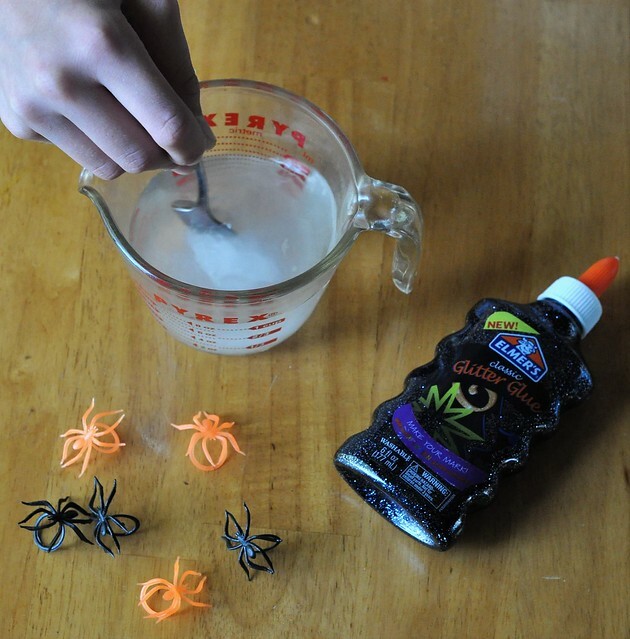 Slowly pour Borax solution into the glue while stirring. 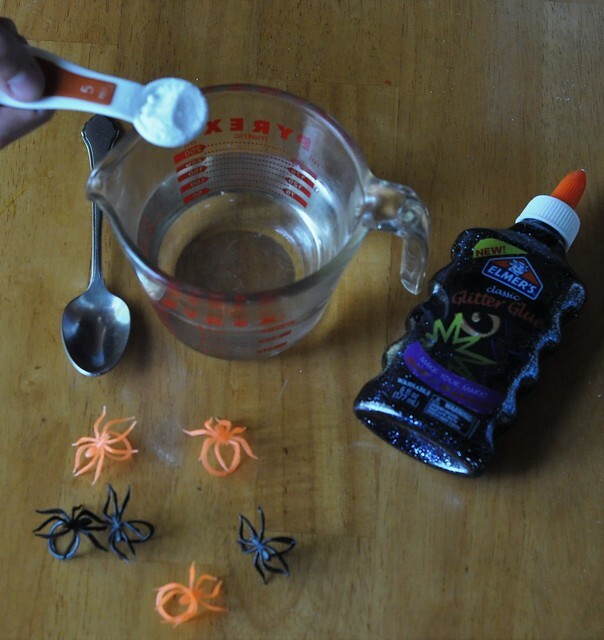 You will see the glue almost immediately start to solidify! 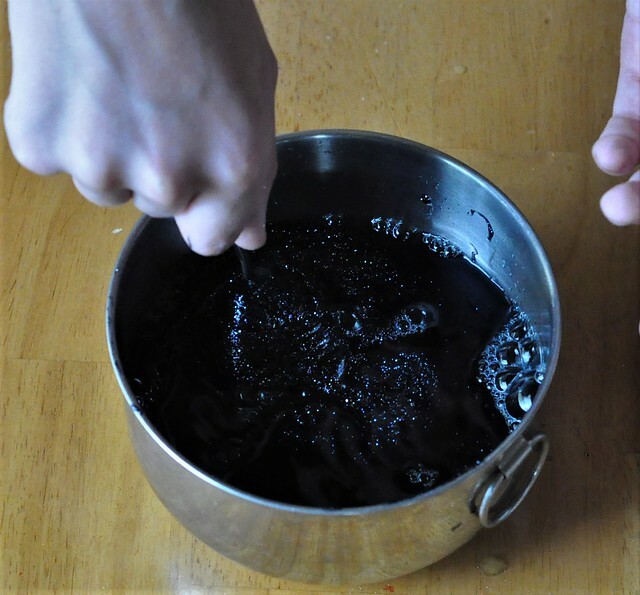 Stir 1 minute, then mix with your hands for 1 minute. Spill out the remaining Borax solution from the bowl. 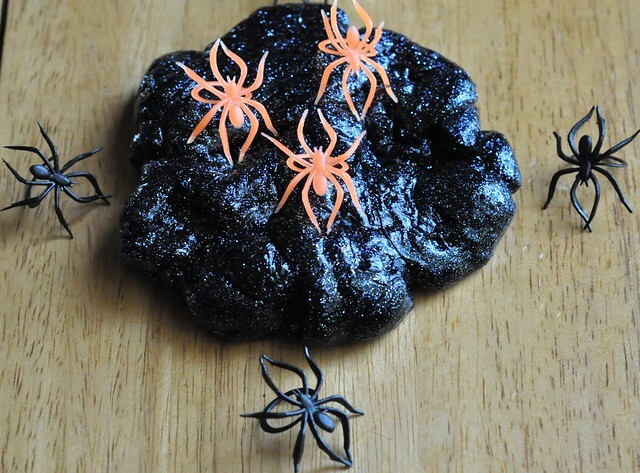 Form a ball with the Glitter Glue concoction, and knead. 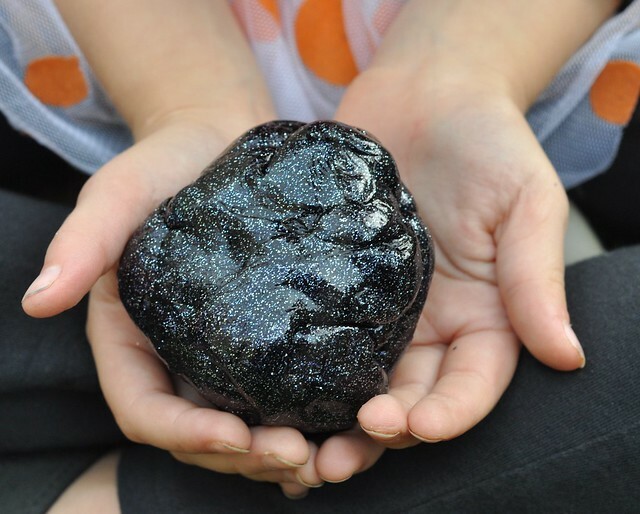 The putty will be ready when it's the consistency between slime and play dough. Keep your putty stored in a Ziploc bag or a in a sealed storage container, and place it in the fridge. We usually keep ours for a week or two before throwing it away! 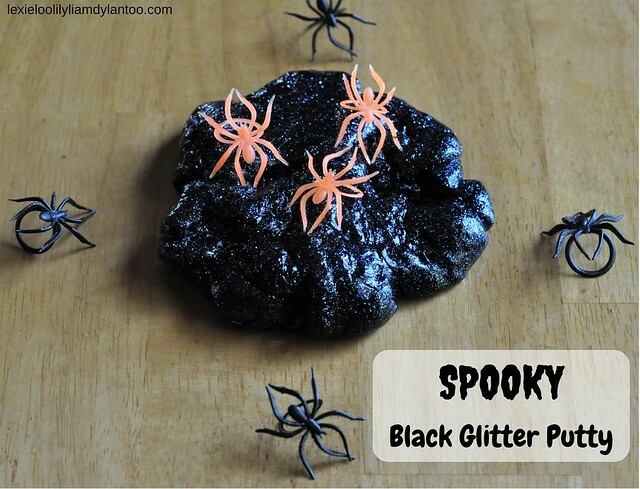 Spooky Black Glitter Putty was easy to make, and provides hours of sensory fun! 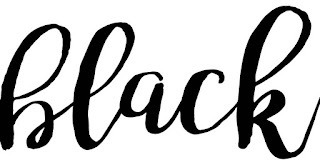 Visit my co-hosts, Little Dove Blog, Sunshine and Munchkins, and Thrifty Wife Happy Life to see their black-themed activities! Join us next month on November 17th for the next A Year Of Color link party! Next month's theme is: ORANGE! So, so fun! 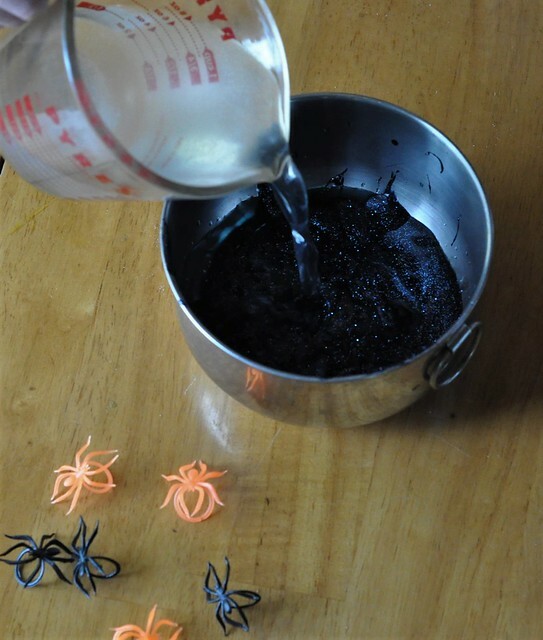 I've been wanting to do something like this with my kids and it's such a fun idea to do it with the black and spiders for Halloween! We usually make a lot of crafts and do a bunch of activities, but there's no time this year! Life is busy with 4 kids! Another fun product! And it looks so cool! Thanks, Lindsay! They are still playing with it! Love this idea! 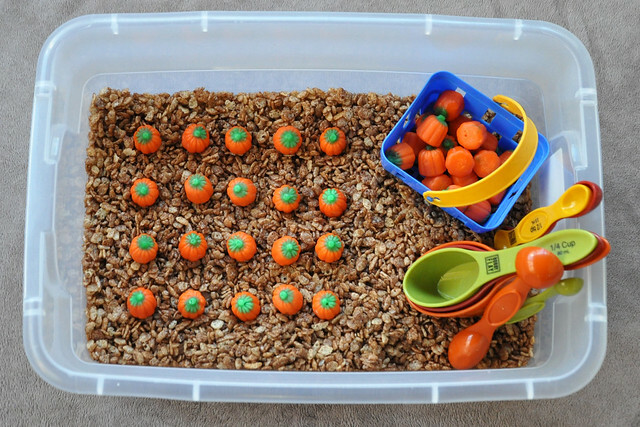 I'm totally going to get stuff to make this on a playdate this week! Thanks, Lizzie! It's definitely an easy one! Oh man, my kiddos would love this!! They should try it! It only takes a few minutes! 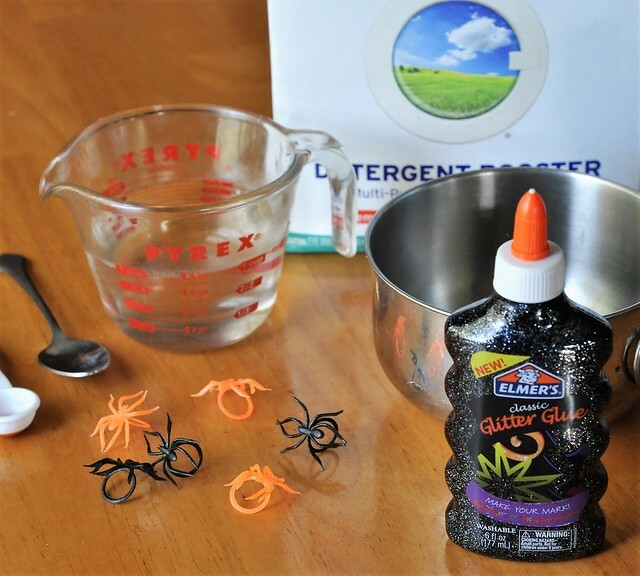 First, I had NO IDEA glitter glue even came in black! Second, I know both my kids - but in particular, Julia - would LOVE this!! We're going to have to whip some up this week! How fun! It's supposed to rain here on Sunday this weekend; this might be our chosen activity for the day! Love the black w/ glitter.